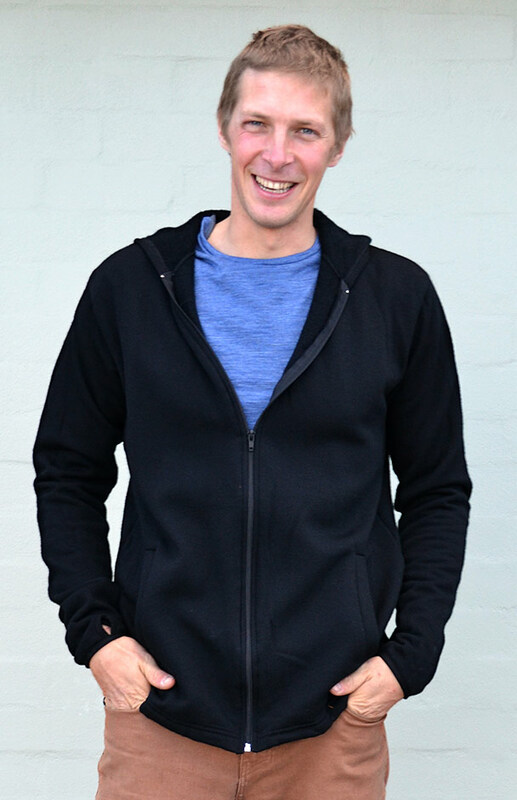 The super warm and comfortable 350g , 100 % merino Wool Fleece Zip Jacket with Hood features a smooth outside finish, brushed wool fleece inside against the skin, thumb holes to keep your hands warm as well as deep side pockets and of course a hood! This jacket makes a fantastic outer layer to protect you from the elements and is the go-to jacket for the guys at Smitten! Great for a weekend of camping, trail running, hitting the gym or adventuring, while also looking great as everyday street wear over your favourite T-shirt. Sizing is very generous - if you are normally a Smitten Medium for example, you may need a Small in this style.